A few weeks ago, I wrote a blog post on how Microsoft was making some good/viral TV clips for their (at that point) upcoming video game Halo 3. Problem was that these videos were on TV only, nobody at the marketing agency thought it necessary to post them on YouTube, but enthusiasts corrected that. My blog post listed these videos, and can be found here. 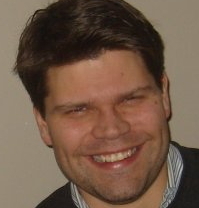 Since I posted this article, it has increasingly gathered readers. 100% of them come via search engines, looking for “Halo 3” (I am amazed that some search engine ranks my article so highly! still can’t figure out who that is exactly). I bet you none of these viewers have any interest in marketing, start-ups or any of the other things tend to write about. So, is this traffic actually worth anything? I think this trend will continue until an equilibrium point is reached at which point the effect will diminish. Or maybe the search engine takes the traffic away again. In any case, until either of the two happens, I am happy to lean back and see the traffic grow. I actually didn’t post any articles this week partially just to see what would happen to he traffic: still growing. Nice. 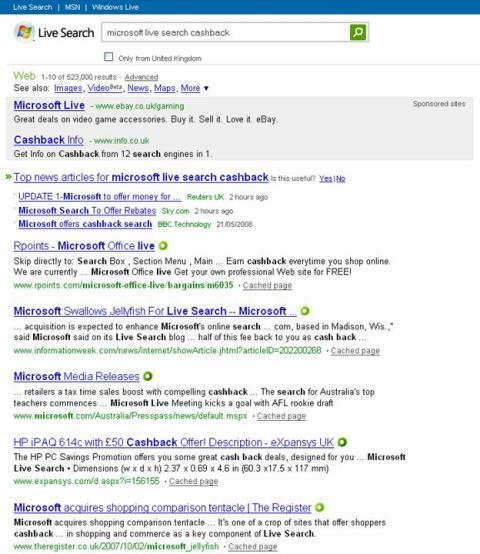 The blogosphere is awash with comments on and reviews of Microsoft Live Search newest initiative, called Live Search Cashback. 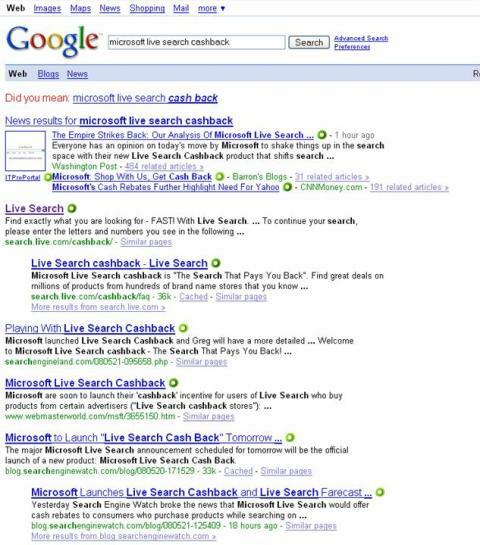 Basically, if you purchase products using Cashback you get…cash back. Leaving aside whether this will increase Microsoft’s market share in the search space, let’s just focus on the single reason why Microsoft is lagging behind in the search space: quality of search results. Microsoft seems to actually rely on Google to drive traffic to their own product. Quite unbelievable. Having just returned from holiday in Portugal (very nice, by the way), I read about the fact that Microsoft live has received a face lift in the meantime. I thought I should check it out. I was amazed. Not by the layout, but by the search result. 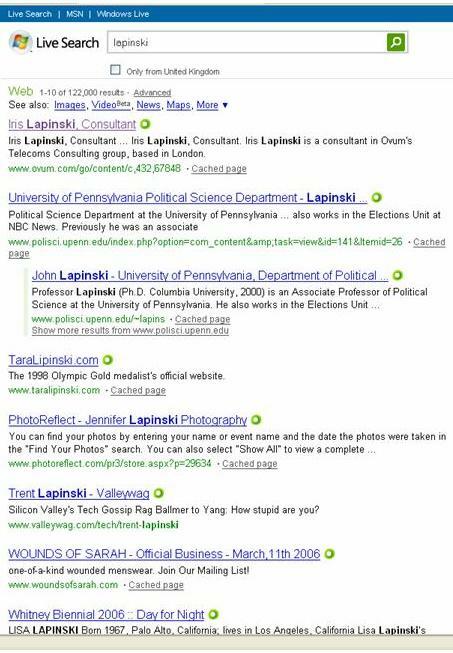 The search for my family name – Lapinski – returned ca. 122,000 results. And my wife is in first place! 🙂 Well done Microsoft! !